We want to help you feel confident that your team is running more effectively, thanks to Tettra. That's why we'll share stats from your account in regular monthly reports, delivered directly to your inbox. 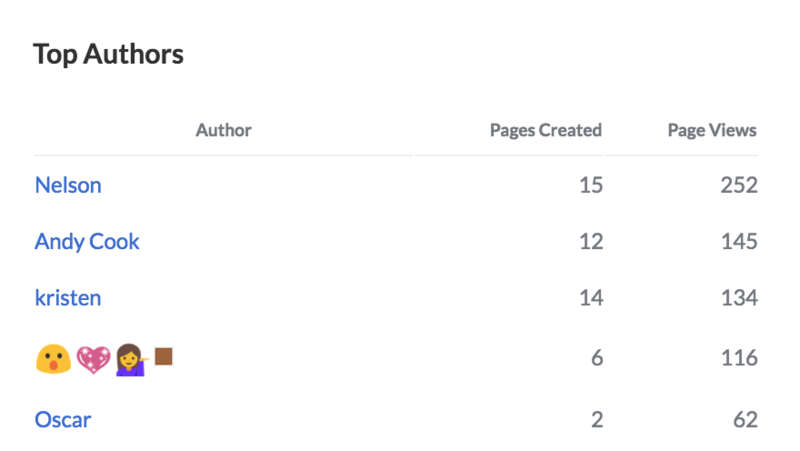 Usage analytics will give you a sense for which pages are getting viewed the most and who's contributing to your Tettra account. This data can give you a feel for the ROI you're getting from Tettra. Each time someone acquires knowledge through Tettra (rather than interrupting a co-worker to ask), that's time saved. Given the high cost of interruptions, you might be helping your team double what they can get done in a day! 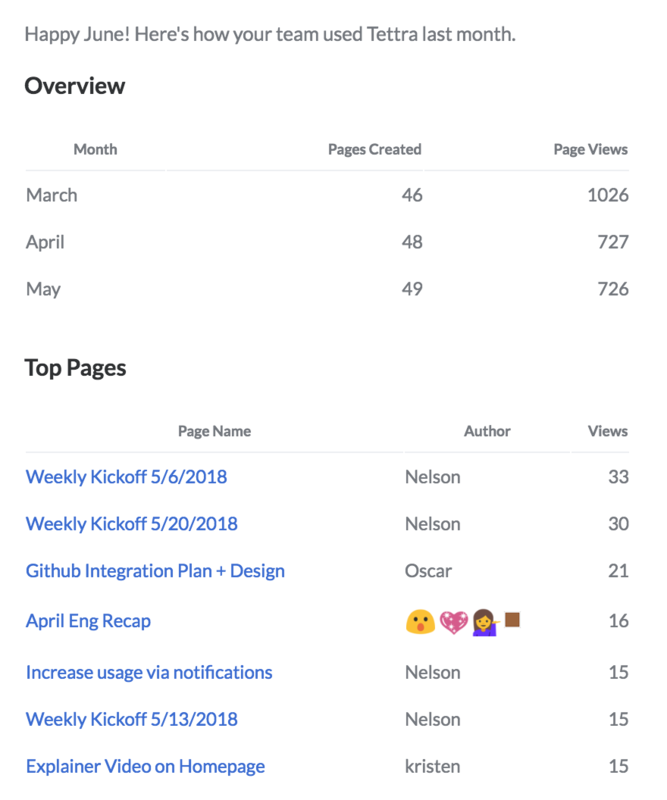 Keep in mind that usage analytics is only available in our "Scaling Plan", so sign on for our Scaling Plan if you want this sweet sweet data. Please reach out for more details. Usage analytics reports are sent to administrators by default, but you can always add more recipients if you'd like! Feel free to reach out to Support and we'd be happy to take care of that for you.